No purchase necessary. To complete your entry you must read and agree to be bound by the following contest rules (the “contest rules”). Your participation in this contest constitutes your full and unconditional agreement to be legally bound by and acceptance of these contest rules. 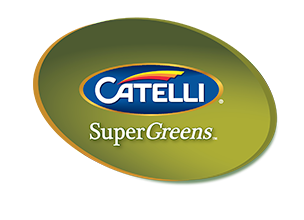 The Catelli Family Reunion Contest (hereafter “Contest”) is organized by Catelli Foods Corporation, hereafter called the “Organizer”. The Contest starts on February 28, 2017 and ends on April 4, 2017 at 11:59:59 PM (ET). All entries must be received by 11:59:59 PM ET on April 4, 2017 (the “Entry Submission Closing Time”). Entries submitted after the Entry Submission Closing Time will not be accepted. Any reference to time in the Contest Rules indicates Eastern Time (ET). The Contest is open to all residents of Canada, eighteen (18) years of age and above by the start date of the Contest, with the exception of the employees, agents and/or representatives of the Organizer, its distributors or affiliated companies, advertising agencies or any contributor to the contest, as well as anyone with whom an employee, agent and/or representative is domiciled or any member of his or her immediate family. For these official rules, “immediate family” refers to the father, mother, brothers, sisters, children, husband, wife or partner of such an employee, agent and/or representative. 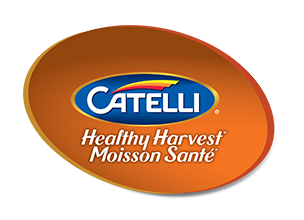 3.1 For a chance to win, visit www.catelli150.ca and go to the Contest page. “Scroll down to enter” and complete the electronic entry form (hereafter the “Entry Form”) by filling out all required fields. Confirm you have read the Contest Rules and Regulations and click “Continue.” You will then be entered in the Contest. You can enter the Contest until April 4, 2017 at 11:59:59 PM (ET). 3.2 Each entrant can only use one e-mail address (which must be valid) to enter via the Entry Form. One (1) entrant per Entry Form. One (1) Entry Form per family (based on name and address) for the duration of the Contest. The same e-mail address cannot be used by more than one (1) entrant. 3.3 All entries must be complete to be eligible. 3.4 Internet access and usage charges imposed by your online service may apply. If the identity of an entrant is disputed, the authorized account holder of the email address submitted at the time of entry will be deemed to be the entrant. The individual assigned to the email address for the domain associated with the submitted email address is considered the authorized account holder. 3.5 No purchase necessary to enter the Contest. 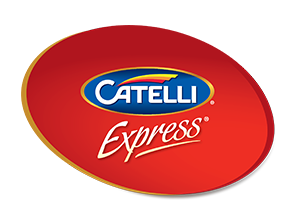 Three (3) Winners will be awarded one (1) Grand Prize each – a Catelli Family Reunion Experience (hereafter “Experience(s)”) as stipulated below. Grand prizes will be regionally allocated: one (1) Grand Prize for entrants from Quebec and two (2) Grand Prizes for entrants from rest of Canada. Approximate retail value of each Grand Prize is $10,000 CAN. $5,000 cheque addressed to the selected Winner to be used to arrange the Winners’ family reunion which could include such elements as venue rental, music or entertainment, event décor, etc. if required and within allocated funds. The Winner is responsible for arranging all these elements in addition to any applicable deposits, insurance and conditions of the venue. 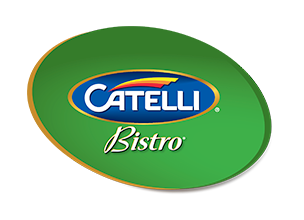 Catelli Pasta branded dinner with an estimated value of $5,000 that includes food and beverage for up to 20 people provided by a local catering company and coordination costs. The catered dinner format (buffet, served, plated, etc.) shall be determined solely by the Organizer. Experience to include the attendance of an on-site chef. All Experiences must take place from June 1 to August 7, 2017 in Canada. Before releasing the funds, the Contest Organizer reserves the right to review and authorize all elements of the Grand Prize Experience, including all elements that the Winner is responsible for organizing as detailed above in 4 A. Within four (4) weeks of prize acceptance, Winners must provide the Organizer with the desired event date(s), location and venue. Upon which time the Organizer will review chef availability and location viability for dinner catering. Organizer reserves the right to reschedule to a mutually agreed upon date/time based on availability. Funds will be released approximately two weeks following date, location and venue confirmation from the Organizer. Winners will be required to sign a declaration of compliance with rules and a full liability and publicity release form (detailed in section 13). The Winner is solely responsible for all expenses which are not included in the prize description above or expenses that go over the allocated $5,000 including but not limited to: special event insurance, travel, special event or venue permits, attendee gifts and all other costs incurred in claiming, or using of the Grand Prize. The Organizer reserves the right, at its sole discretion, to replace any prizes with another of a comparable value if it is not possible to award it to the Winner(s) as described in paragraph 4 A-E above for any reason. After the Entry Submission Closing Time, a judging panel consisting of representatives of the Organizer and/or its marketing agencies, the composition of which is to be determined by the Organizer in its sole and absolute discretion (the “Judging Panel”), will judge all eligible entries received during the Contest Period, but before the Entry Submission Closing Time, based on a combination of the following criteria: (a) quality of the story; (b) importance of reuniting with family for the Winner (c) uniqueness of the story. The judging will be applied to the Entrants response to the following: in 200 words or less, tell us a story about who you would bring to your family reunion this summer. We want to know how they’ve inspired and supported you over the years, and why your family needs to reconnect. The Judging Panel will carry out the judging process according to the foregoing criteria, evaluated in its sole and absolute discretion, between approximately April 5, 2017 and April 18, 2017. Upon the conclusion of that process, the Judging Panel will, no later than April 20, 2017, select the three (3) top entries according to the foregoing criteria (the “Finalist Entries”). By entering the Contest, participants agree to be bound by these official Rules and any and all decisions of the judges, who shall be the final arbiter on all matters relating to the Contest. The Organizer’s decisions, which, subject to applicable law, are final and binding in all matters related to the Contest. All prizes must be accepted as awarded and are not transferable. The odds of winning will be determined by the total number of eligible entries received by the contest closing date. In the event that the prize Winner is unable to claim the prize due to reasons beyond the control of Organizer, or its agents, and all parties associated with the prize, no compensation or substitutions will be provided. No modification will be made to the prize. No other prize substitution is permitted by Winner. By accepting prize, Winner agrees to hold Organizer, its respective directors, officers, employees, partners and assigns, harmless against any and all claims and liability arising out of use of prize or by participation in this Contest. Winner assumes all liability for any injury or damage caused, or claimed to be caused, by participation in this Contest or use or redemption of any prize. Winners will be notified of their win/prize by email and/or phone by 11:59:59 PM ET April 20, 2017. The potential Winners must send a reply email to the sender acknowledging receipt of the email and acceptance of the prize within five (5) calendar days (11:59:59 PM ET April 25, 2017). To be declared the Winner, the selected potential entrant must first correctly answer a mathematical skill-testing question and may be required to sign and return, within a stipulated period of time, a Declaration of Compliance with the Rules and a full Liability and Publicity Release form. If a potential Winner cannot be reached within five (5) calendar days following the Winner selection, incorrectly answers the mathematical skill-testing question administered, declines the prize, fails to return a declaration of compliance in the stipulated period of time or otherwise does not comply with these Rules, he/she will be disqualified, will not win any prize and another entrant may be selected. 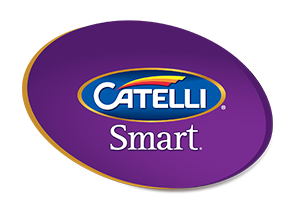 Winners will be publically announced via Catelli Pasta’s social media channels upon prize acceptance. Final Contest Entry deadline to be eligible for the Contest is 11:59:59 PM ET April 4, 2017. By entering this Contest, Winner agrees to be governed by these Rules, and agrees to have his/her name, city and province of residence and story published on the Organizer’s website, social channels and in a video, all of which may be promoted via any and all social media channels, including but not limited to Facebook, Twitter, Pinterest and Instagram, without compensation related to this promotion. Winner further agrees to allow the Organizer to use his/her name, address (city and province only), submissions and photograph without compensation for advertising or other purposes worldwide, in any and all media now known or hereafter devised, including the Internet, without compensation related to this Contest. Further, Grand Prize Reunion Experience Winners will be required to share their story and provide access to the Organizer and its agency representatives to film the Experience, including but not limited to conducting interviews with family members. Winners may also be required to speak with media about their family structure, the contest and the reunion experience. 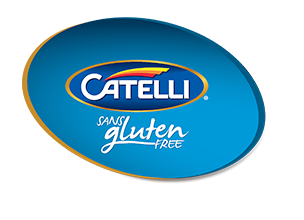 In addition, a Chef will make an appearance at all family reunion Experiences to share their cooking and Catelli Pasta insight. The chef will attend a portion of the event and the Organizer will cover all of the Chef’s expenses as part of the dinner prize value. To be declared a Winner, the entrants whose Entry Forms are selected by Organizer judges for the prizes must respect the entry and eligibility conditions stipulated in the Contest Rules. Failure to respect one (1) or several of these conditions means the Winner will be disqualified and another entrant will be selected by the Judging Panel. The Organizer will contact the three (3) Grand Prize Reunion Experience winners by telephone and/or e-mail. In the event that the Organizer cannot contact the selected entrant for whatever reason within five (5) calendar days following the selection, the Judging Panel may select an alternative winner from the Entry Forms to find a prize winner. To claim prizes, a winner must fill in and sign a declaration of compliance and a full liability release (hereafter “Form”), which will include a mathematical skill testing question, that will be sent to him/her by e-mail by the Organizer and return it filled in and signed within seven (7) days of sending date. In the event that the Form is not accurately completed, signed and returned within the time limit, the Organizer reserves the right, at its sole discretion, to conduct or not as many judged selections as necessary to award the Prizes. Upon receipt of the Form, the Organizer will inform the winners by e-mail and/or by phone of all the details related to how they will receive the Prize. In the event that it is not possible to deliver the Prizes to the Winners, for whatever reason, after September 1, it shall become null and void, unless Organizer, in its sole discretion, agrees to deliver the prize at a later date. Organizer reserves the right to modify or cancel the Contest without advance notice, subject to having obtained any required approval from Quebec’s Régie des alcools, des courses et des jeux. The Organizer, its respective companies and divisions and any other moral person of its corporate group, its affiliated distributors, advertising and promotional agencies and their respective shareholders, administrators, executives, employees and agents, as well as any contributor to the contest (hereafter called “Release Recipients”) are not responsible for matters regarding the Prizes or the Contest and provide no guarantee for either. The Grand Prizes must be accepted as awarded and cannot be transferred without the prior written agreement of the Organizer, substituted with another prize or exchanged in whole or in part for money. Should the Organizer for reasons out of its control and not related to the Winners, not be able to deliver the Grand Prizes as described in the Contest Rules, the Organizer reserves the right to award a similar prize (or a portion of the prize) of equal value. The Organizer shall not be held liable in any case where its inability to act results from a fact or situation beyond his control or from a strike, lock-out or any other labour dispute in its facilities or in the facilities of the organizations or companies whose services are used in the course of holding this Contest. 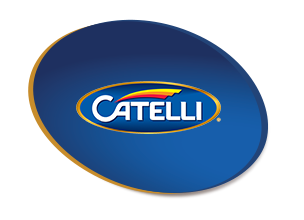 By accepting a Prize, the Winners authorize the Catelli Foods Corporation, if required, to use his/her name, photograph, place of residence, story, contest submission, voice, image and likeness and (or) declaration regarding the Prizes for advertising or publicity purposes without any form of remuneration the Organizer may conduct relating to the Contest in any media or format, whether now known or hereafter developed, including, but not limited to the World Wide Web, at any time or times in perpetuity. Any Entry Form and any attempt at entering using electronic, computer or other means which are contrary to the spirit of the Contest or to the Contest Rules (e.g. computer pirating, mass emailing, etc.) will be automatically rejected and may be referred over to the appropriate judicial authorities. Any automated entries will be noticed and rejected. The Release Recipients are not in any way responsible for any problem including, but without being limited to, the technical malfunction of any telephone network or lines, any other problem resulting directly or indirectly in a virus, bug or technical failure following the sending of e-mails to the Organizer for any reason including, but without being limited to, traffic congestion on the Internet network or on the website or a combination of both. Organizer and Release Recipients are not responsible for any damage done to computer equipment following entering the contest. Organizer and other Release Recipients are not responsible for any problem that could prevent the proper conduct of the contest in accordance with the rules established herein including, but without restricting the generality of the above, or the postponement of the contest promotion or of the contest. For Quebec residents, any litigation respecting the conduct or organization of a promotional contest may be submitted to the Régie des alcools, des courses et des jeux for a ruling. Any litigation respecting the awarding of a prize may be submitted to the Régie des alcohols, des courses et des jeux only for the purposes of helping the parties reach a settlement. 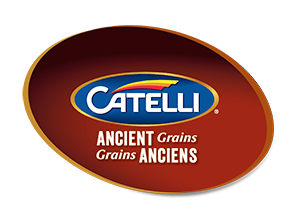 The Contest Rules are available on the Contest website (www.Catelli150.ca). In case of incompatibility between the English and the French version of the Contest Rules, the English version shall prevail.